Wednesday / Friday / Sunday (07:30 - 09:00). Join and see the dolphins in the Indian Ocean. Should you not see any dolphin, the trip will be complimented. Thursday / Saturday (10:30 - 12:30) ; Friday / Monday (15:30 - 17:30) by Dhoni. Enjoy the tropical underwater life with a Marine Biologist as your guide in by Dhoni in a nearby Reef. A half day or full day trip to the desert island called Medufinolhu, which boasts a glorious white sandy beach connected to two islands, a turquoise lagoon and spectacular house reef. Don't forget to bring your snorkeling equipment. A picnic lunch will be served on the island for full day trip. One bottle of mineral water included. Try hand line fishing by dhoni. Watch the sunset while fishing with a typical Maldivian hand-held line. Enjoy the most romantic sundown cocktail on the white sandy beach of a desert island. A bottle of house champagne and canapés are included. Enjoy the Romanticism of the Magical Sunrise an awakening breakfast with sparkling bubbles. Experience the Maldives and make dream comes true cruising on a yacht the turquoise water of the Indian Ocean. Continental Breakfast + Sparkling wine included. Rate per person : 55 USD* / 200 USD* for one couple exclusively. Experience the Maldives and make dream comes true cruising on a yacht the turquoise water of the Indian Ocean. Enjoy the Romanticism of the most unique sundown cocktail. A House Champagne, Cocktail & Canapés included. Visit the capital of Baa atoll / A magical picnic lunch will be served on a boat / Champagne cocktail will be served with canapés. Experience the Maldives and make dream comes true cruising on a yacht the turquoise water of the Indian Ocean. Rate per person : 90 USD*/ 340 USD* for one couple exclusively. Imagine a breathtaking cruise on a yacht around the islands of Baa Atoll. The turquoise water of the Indian Ocean. Sleep on the deck, with the moon & stars, the silver sea surrounding you. Day 1 : Coco Palm picnic lunch on boat / Sail & Snorkel in Baa Atoll / Sunset cocktail / Delicious seafood BBQ on the white sandy beach of a desert island. Day 2 : Continental breakfast / Sailing & Snorkeling / Maldivian lunch / Return to Coco Palm. Rate per person : 250 USD*/ 1000 USD* for one couple exclusively. This is a Maldivian style fishing trip by dhoni, trawling in the waters of the Baa Atoll. Light breakfast, tea or coffee, as well as fishing gear are included. A full day trip to a desert island for 2 persons. A gourmet picnic lunch of your selection is provided for your day of seclusion. Half bottle of white wine and two bottle of mineral waters are included. For those early risers, the resort organize a luxurious champagne breakfast on a white sandy beach. A bottle of house champagne, coffee or tea, selected of baked items and fresh fruits included. Enjoy the most romantic sundown cocktail on a white sandy beach from 18.00 to just after sunset. 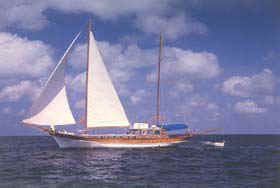 Imagine taking a breathtaking cruise on a traditional dhoni around the islands of the baa atoll. Leave at 18.00 and take a scenic cruise of the neighboring islands and watch the beautiful sunset while tasting a few canapés and indulging in a bottle of house champagne. A delicious dinner setting on the white sandy beach of a wonderful shallow lagoon. And all only for you ! This is the most romantic recipe for your holiday. Half bottle of Champagne is included. A once in a lifetime experience. Spend one night on a desert island with an exquisite beach barbecue and enjoy this time of intimacy. The moon and the stars as your ceiling, the silver sea surrounding you and a hut will be dressed for your comfort. Breakfast will be served on the beach upon you wake up. Half bottle of Champagne is included. Treat yourselves with one night in the 154 sq. m. of the most exclusive suites of the Maldives, with its superb plunge pool and direct access to the lagoon. Facing directly the ocean you will have a romantic point to admire the sunset. Do not forget to experience the Jacuzzi looking over the lagoon. Champagne breakfast will be served in your room. Subject to availability and a maximum stay of one night. Enjoy the romanticisms of the Maldives experience and make dream comes true cruising on a yacht the turquoise water of the Indian Ocean. Day 1 : Lunch / Sail & Snorkel on a desert island / Sunset cocktail / Seafood Lobster BBQ on a desert island. Day 2 : Champagne breakfast / Sailing & Snorkeling / Tropical picnic lunch on a desert island / Return to Coco Palm. Get to know the Maldivian way of living by joining them for home made tea and short eats. Become part of the family and go for the evening walk with them. You can enjoy sightseeing ; shopping and various daily activities. Come back home and give a hand to the family in preparing the evening dinner. Enjoy the traditional but exquisite cuisine of your Maldivian home. Say farewell to the family and return to the resort. Evening tea, typical Maldivian dinner + 2 bottles of water included. The method used by Maldivian fishermen is referred to as the "Pole and Line" method. "At the start of a fishing day the fishermen will take their dhoni out in search of live bait such as small scads, silver side and sardine. They will obtain about 50lb of bait. Once this is completed the dhoni will head out to open sea in search of schools of tunas." Breakfast + 2 bottles of water & 2 soft drinks are included. and include one soft drink or 500ml water per person.